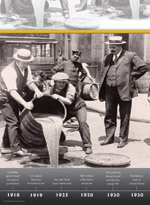 Prohibition lasted near thirteen years in the US from 1919 (Volstead Act to the 18th Amendment) to 1933.In Canada, the export laws allowed Canadian liquor manufactures to export into the US. Rum running and all types of organized resulted. Both countries had a difficult time enforcing the prohibition law. 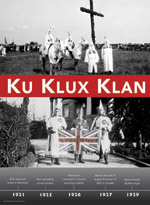 Poster shows pictures of Canadians in British Columbia engaging in Klan activities. The movement was very popular in Western Canada during the 20s. 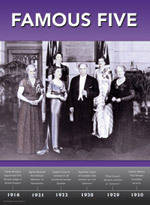 Prime Minister Mackenzie King with several members of the Famous Five Group who pioneered equal rights legislation for women in Canada. 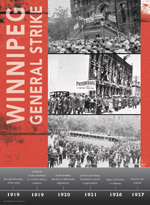 In 1919, 30,000 workers in Winnipeg walked off their jobs to secure better working conditions. For 37 days the City of Winnipeg was paralysed. Pictures show the workers strike. Following the First World War, Canada needed people to populate and develop its vast expanse of lands, particularly in the west. 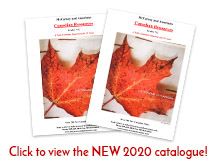 The Government actively promoted bringing people to Canada. 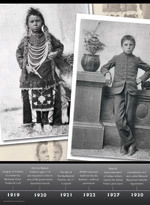 Beginning in 1876, the Canadian Government took legal action to remove the rights of Aboriginal Peoples in Canada. 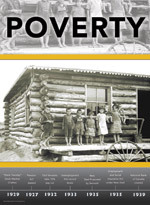 Residential schools were thought to be the answer. 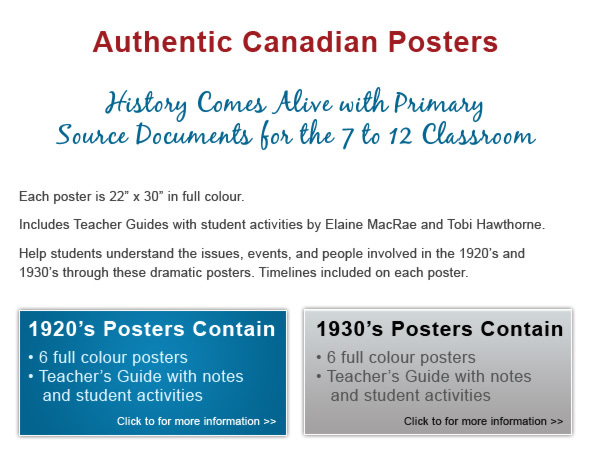 Poster shows a before and after of Thomas Moore. 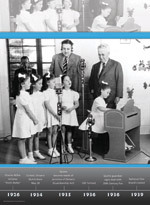 Poster image shows the Dionne Quints at a CBC microphone with their guardian Dr. Allan Dafoe. They were a North American phenomenon that quickly became exploited. 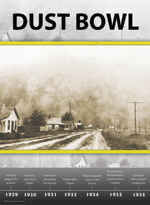 DUST BOWL – "Black Blizzards"
Poster shows the devastation and dust storms that reeked havoc on the mid-western regions of Canada. 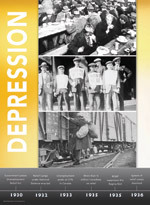 DEPPRESSION – "On the Dole"
Poster images of tough times during the depression years in the 30s. 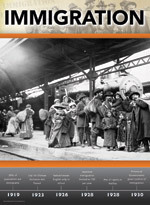 From riding the rails to bread lines, people struggled to survive. Nothing could stop the depression after the stock market crash of 1929. Governments tried various programs for relief. Incomes declines, unemployment rates soared. Children suffered. 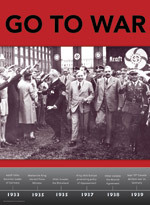 Poster image shows Mackenzie King on his appeasement trip to Berlin to visit Hitler prior to the Second World War. Benefit game at Maple Leaf Gardens in 1935 for Ace Bailey after being hit from behind by Eddie Shore of the Boston Bruins. 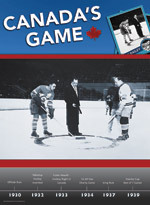 Violence then – violence today in Canada’s most popular sport.